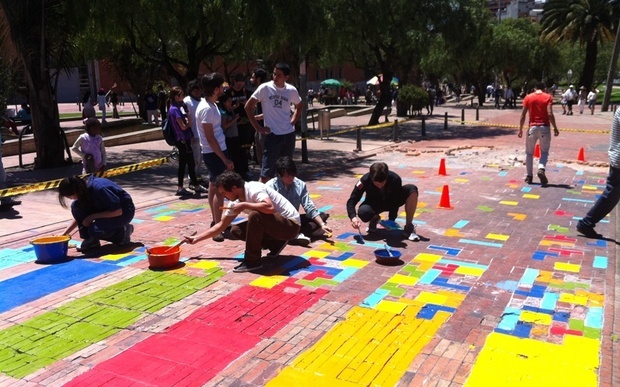 In Bogotá, Colombia, a group of community members and activists have taken charge of enhancing pedestrian safety. 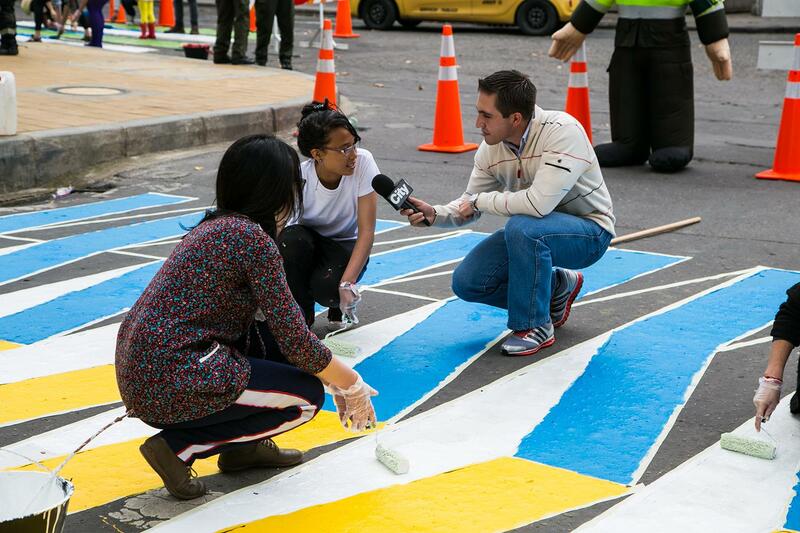 Their DIY initiative, called Cebras por la Vida or Crosswalks for Life, works to paint brightly-colored, patterned crosswalks at sites where pedestrians have been injured or killed by motorists. 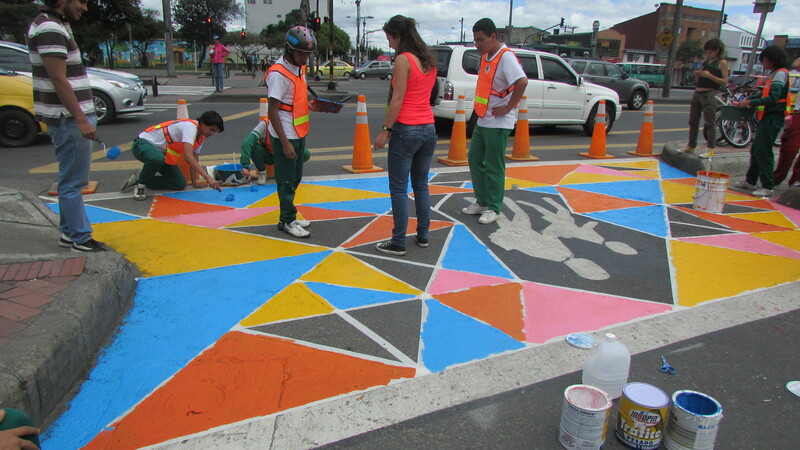 The campaign responds to the devastating problem of pedestrian safety in Bogotá, where around 300 people are killed in accidents each year. This issue is the result of the car-prioritized culture in the city, in which drivers commonly ignore speed limits and stop-signs and park on sidewalks. At the same time, there is a lack of adequate pedestrian-friendly infrastructure such as crosswalks and pedestrian lights. The need for a safer walking and cycling environment has long been a problem in the city. 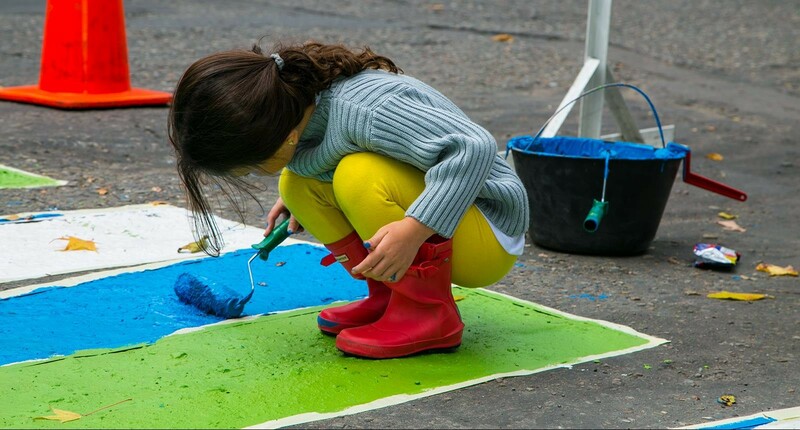 Because of these statistics and a lack of coordinated action to combat them, groups like Combo 2600 and La Ciudad Verde have begun to address these issues by painting these crossings and creating DIY walking infrastructure. Their efforts have gained considerable media attention, forcing the government to acknowledge their efforts and to better confront these issues. For example, in an early project, organizers painted around a massive pothole, labeling it “His Majesty the Crater.” Soon after, most of the potholes in the area were fixed. The project has been replicated in other Colombian and Mexican cities and it won the 2014 Urban Sustainability Award at World Urban Forum in Medellin, Colombia.